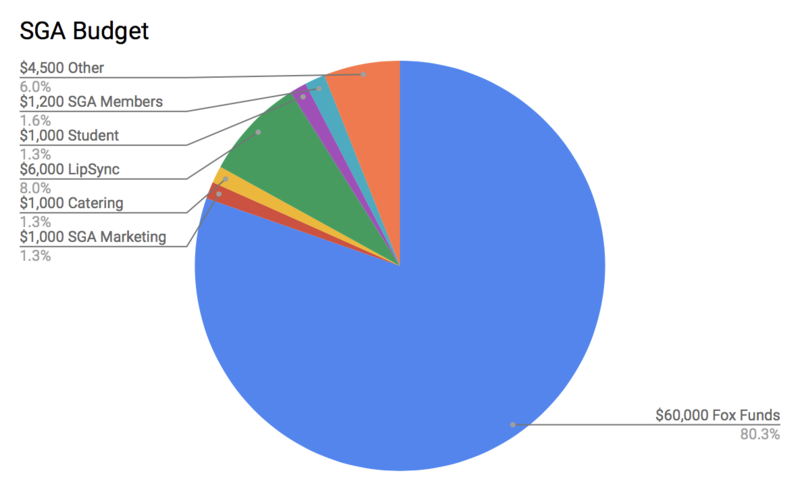 The Rollins Student Government Association (SGA) has an annual budget of $74,550, but how is it all distributed? Well, for starters, nearly 80 percent of the budget goes towards other student organizations. This section, called Fox Funds, totals $60,000 and is a program that allocates money to student organizations so they can run their programs. 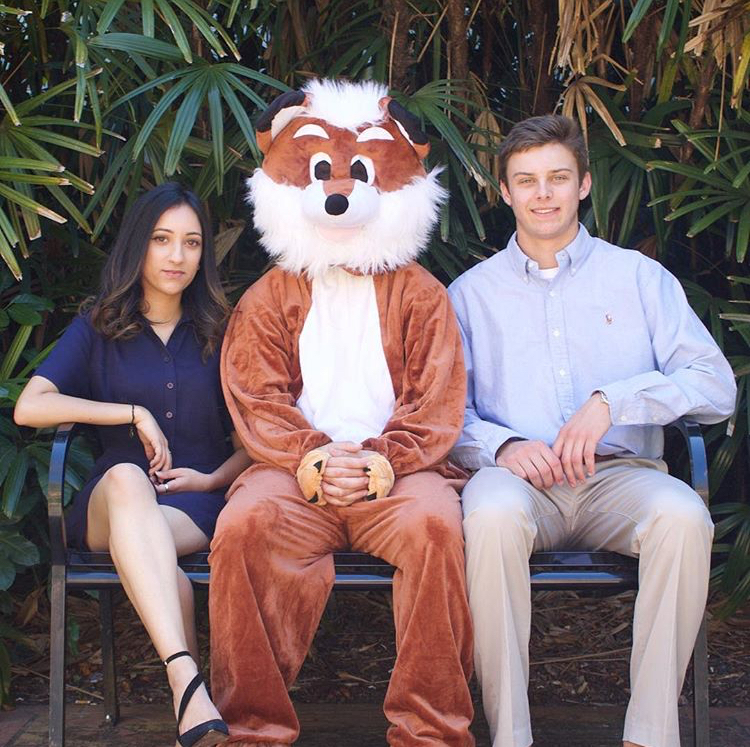 Student organizations can get money from Fox Funds by presenting a budget request to the Fox Funds committee, which consists of their student peers. “It really ranges. An organization could ask for $100 to bring a speaker [to campus] or $1,000 to host a full event,” said Abby Hollern, director for the Center of Inclusion and Campus Involvement, which advises SGA. A proposed event must be open to the entire Rollins community in order to receive the requested funding. When making decisions about SGA’s spending, the question its members always try to answer is, “What’s best for the student body?” said Hollern. Unlike other schools such as UCF—whose SGA has an annual budget of over $1.8 million, part of which is used to pay its president, senate, staff, and office members—the only paid positions in the Rollins SGA are the president, Nagina Chaudhry (‘19), and vice president, Greg Taicher (‘19). The yearly stipend dispersed between the two candidates is $4,000. “The rest of the students work as senate members due to a collective interest of improving our college,” said Chaudhry. The remaining $14,550 that is not put into Fox Funds is used for numerous functions within SGA. One thousa goes towards Marking gets $1,000, which includes the printing of posters and other advertising for events throughout the year. Catering also gets $1,000, such as supplying food for meetings, retreats, or other accommodations. One of the largest events that SGA runs, LipSync, costs about $6,000. This high cost is due to its size and covers lights, sound,and hiring entertainment. The SGA budget also reimburses its students for their election materials, such as flyers, buttons, and other personal marketing. This costs around $1,000. With an estimation of $500 or less per student running, candidates are not allowed to go over their given amount for advertising, since SGA does not want one candidate having a financial advantage over another. SGA estimates that they also spend about $1,200 per semester on themselves. Hollern said some of this money is used to make polo shirts for members of SGA due to the business casual dress code that members have for their meetings. The money can also be applied to any maintenance the senate may want to do around campus, such as replacing the chairs in a room. With all that said, SGA estimates that it will have $8,500 in rollover money. This amount remains in the SGA and is used in the next year. According to Hollern, the money is never transferred for use elsewhere and has accumulated over multiple years of rollover. “I view this as the students’ money,” she said. SGA gets a majority of its funds through student tuition. “It is important to know that all and any money SGA has/receives is in one way or another given back to students on campus,” said Chaudhry.